Try our Arsenal Quiz and see how many you can get correct out of 10. 1. Who holds the record for league goals for Arsenal? 2. Who has made the most league appearances for Arsenal? 3. Arsenal's record league win is 12-0. Who were the opponents? 4. How many top flight titles have Arsenal won? 5. How many times have Arsenal won the FA Cup? 6. Who is the longest serving Arsenal manager? 7. In which season did Thierry Henry make his debut? 8. Which was the last year that Arsenal won the Premier League? 9. How many times have Arsenal won the League/FA Cup double? 10. From which club did Arsenal sign Marc Overmars? 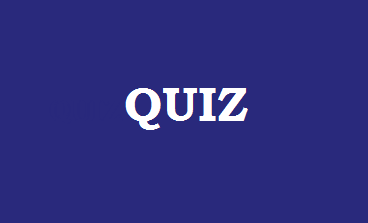 Try our other quizzes NFL, Wimbledon, NBA, Greece, Olympics, US States, Liverpool, Manchester United.